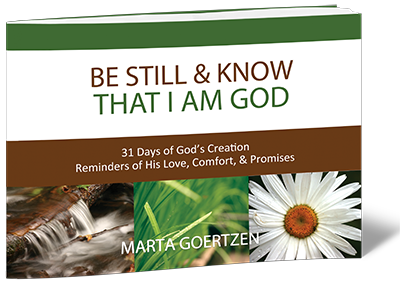 The book is a collection of 31 photos of nature paired with a scripture verse or passage. 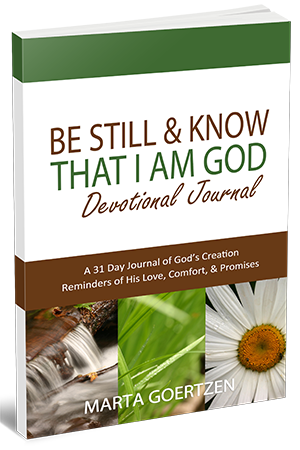 It has been laid out as a 31 day journey focusing on the gift of God's creation with reminders of His love, comfort, and promises. The book is a horizontal 8.5" X 6" with full color images. Beautiful photos... from dew-speckled flowers to rugged lighthouses, they illuminate the carefully chosen Scriptures. A great tool to focus the mind and spirit. The journal is brand new and has been created to be a companion to the picture book.